Mortal Kombat: Rebirth and Legacy director Kevin Tancharoen is one step closer to reaching his goal of directing a Mortal Kombat feature-length film. The first season of Legacy did pretty well with over 60 million views on Machinima. Today Warner Bros. Digital has announced that Mortal Kombat: Legacy 2 will debut on Machinima in the second quarter of 2013. The second season is currently in production and is directed and written by Kevin Tancharoen, with writers Josh Baizer and Marshall Johnson (Dead Loss) lending a helping hand. 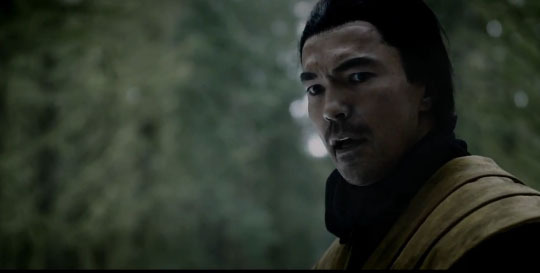 Liu Kang – He’ll be played by Brian Tee. Lee played the main villain in The Fast and the Furious: Tokyo Drift, and he’ll be playing opposite Hugh Jackman in The Wolverine as Noburo Mori. Kung Lao – He’ll be played by Mark Dacascos (Double Dragon, The Brotherhood of the Wolf). Kuai Lang – He’ll be played by Harry Shum, Jr. (Glee). Johnny Cage – Casper Van Dien (Starship Troopers) will be portraying the action star. I’m sadden that Matt Mullins won’t be returning though. Scorpion – Ian Anthony Dale (Tekken) will once again return as the spectre who seeks vengeance against Sub Zero. Shang Tsung – Cary Tagawa, from the first Mortal Kombat movie, will once again play the evil sorcerer.